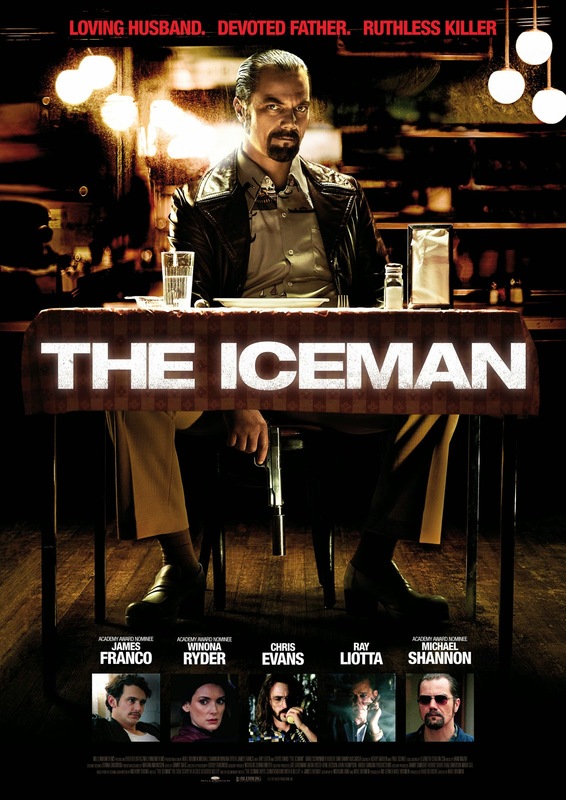 Michael Shannon in and as The Iceman is probably the most important reason that this film is entertaining to watch. He makes it worth your while. Special mention to Chris Evans who you won't recognize. He keeps surprising me with his versatility. That and the incredibly fast pace won't give you time to be bored. So how come some people did not like this film as much. Well, it is obvious that a lot of important stories and details are skipped on. Hardly any background is given on the mob families and merely used as plot devices to move the story along even when you just know their roles are pretty big and significant. Now having seen my fair share of gangster movies I did not find this to be a huge problem. In fact I was glad it focused on the main character. Still, I had hoped to see more of Richard Kuklinski and where he was coming from. It would have made the story that much more interesting and would have added some psychological value. As it is you basically see The Iceman doing what he does best which surprisingly holds up but does make you wish there was more to the story. Although Michael Shannon makes you forget about that since is acting is incredible. He shows hints of a troubled and disturbed individual whenever he can and still makes him likable within reason of course. Because after seeing him kill people for the silliest reasons it becomes hard to sympathize with him. But Shannon does bring in that something that won't make you dislike or hate the guy. This is definitely worth your time. Only don't expect this to have the depth of classics like The Godfather or Goodfellas. In my opinion this is not an gangster flick at all.